Provides optimal nutrition for coloured hair, even after use of extreme heat styling devices. 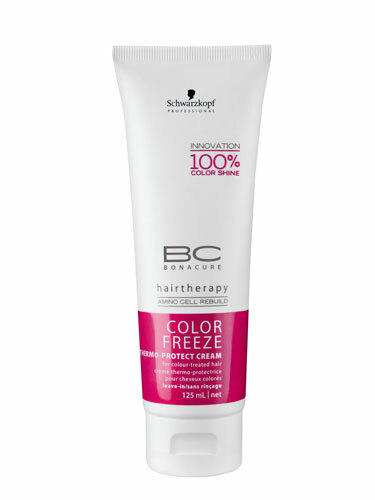 New BC Color Freeze provides not only up to 90% colour retention, but also 100% colour and shine, down to every single hair.It captures colour pigments for longer lasting colour shine, giving the hair surface a polished effect. The breakthrough Color Freeze formula seals the hair’s surface, glazing pigments in place for long-lasting colour and maximum shine. At last, you can freeze-frame vibrant shades with 100% colour shine! Apply onto towel-dried hair before using heat-styling tools.